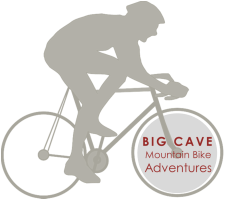 Welcome to Big Cave Camp, " the safari lodge on the rocks"
Big Cave Camp reposes atop an enormous granite whaleback, commanding inspirational views across the famous Matobo National Park. 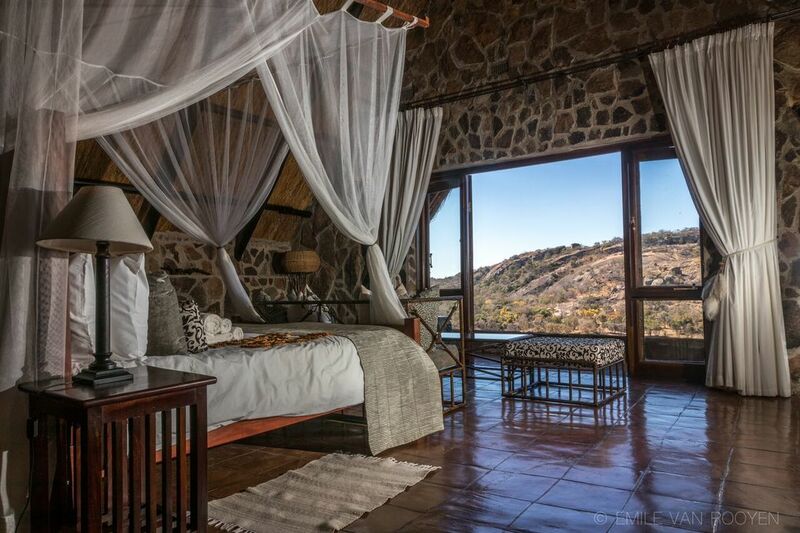 Sophisticated African architecture incorporates colossal boulders into a luxuriously appointed thatched lodge positioned amidst ancient Khoisan rock art. Retire at a day's end to the natural rock-pool and sundeck, the Leopard's Lair lounge and bar, a cave-style boma for pre-dinner drinks or the popular lodge library. The seven thatched A-frame cottages, each with en-suite bathroom and private balcony, resonate African creative flair. Find solitude within an intimate retreat as secluded as the original Kalanga grain bins that nestle amongst the rocks.
" 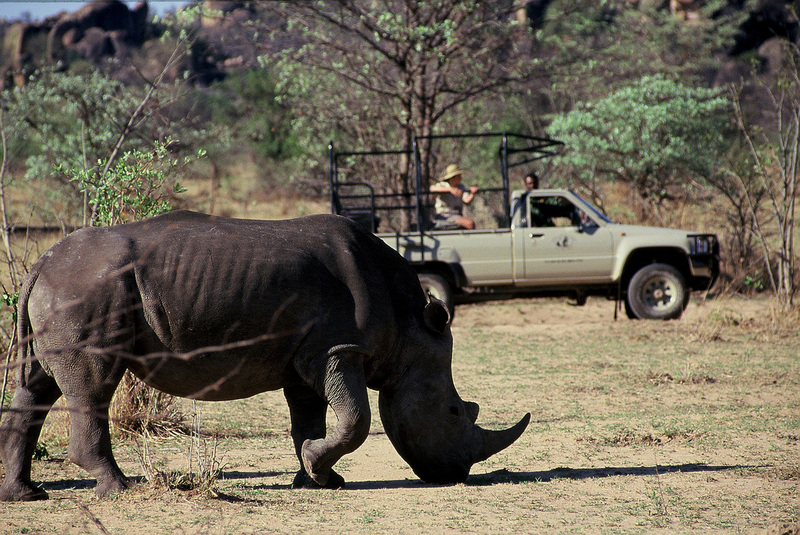 A superbly beautiful site in the Matopos. Friendly efficient staff who cater for your every request. Fabulous sunset on Lightening Rock and bush breakfast never to be forgotten. A pristine collection of rock paintings that are easily accessed on a morning guided walk. Splash in the rock pool to cool off at the end of a warm day. End off a relaxing day around a boma fire into the night. What a great experience!" Last Minute Offer! Book and travel within 7 days for the unbelievably low price of US$110 per person sharing on a dinner, bed & breakfast basis. * Please note that the offer is only applicable for US$ cash payments. No bank transfers will be accepted. 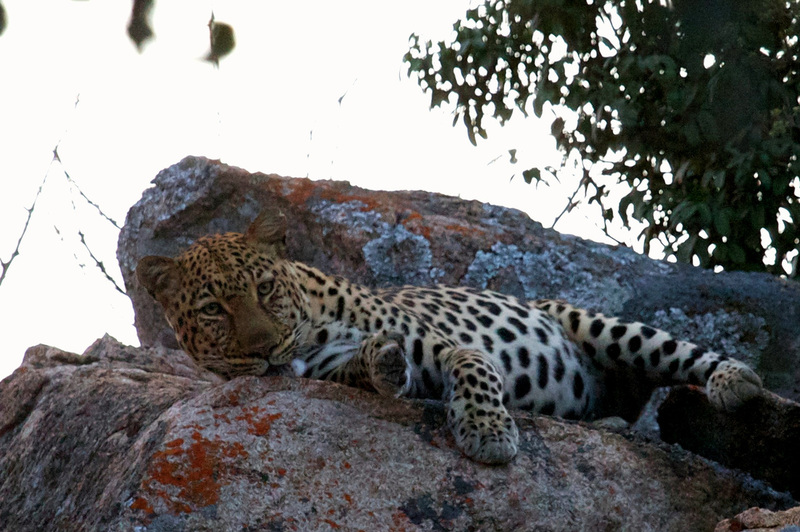 Matobo Hills has one of the highest concentrations of leopard in Africa.